This is a post that’s been a long time coming, and one that I’m so happy to share with all of my readers. I’ve been lucky enough to be featured by some other bloggers, writers and even magazines as a travel blogger or even Instagrammer to watch over the years, and I thought it was about time I shared some of my greatest inspirations with you all. You all know I’m obsessed with travel and capturing it, either by writing, taking beautiful images or even creating videos, so here are some of the amazing talents I’ve come across over the years who have inspired me to keep creating through their own work. We all have bad days when we feel like no-one appreciates our hard work and when we wonder if there is any point to our creations. Well when I have days like that – I head online to check out the Insta feeds or blogs of these 15 inspiring women and feel instantly revived and motivated to get straight back to work. So, if you’re in need of a little travel, or writing, inspiration, take a look at the amazing experiences and businesses these women have created for themselves – and prepare to be impressed. Alyssa has been travelling solo for almost the same amount of time as I have and she is utter goals to me. The ultimate in self-made businesswoman, she has built a career on blogging, instagramming and travel writing. What I love the most about her, other than her seriously sassy attitude, is the fact that she has done it all without a fancy camera or equipment. She has travelled the world with a GoPro and a tripod, and genuinely has some of the most spectacular solo traveller pics I have ever seen. Plus, I’m a big fan of her collection of fabulous dresses. She even managed to get the perfect shot at the Taj Mahal with not a single other soul in sight and no editing, now that’s impressive. Just. Look. At. Her. Instagram. Romy has the most beautiful eye for photography and her instagram is seriously beautiful, especially her images from Amsterdam and Morocco. Another example of amazing talent that is lost in the algorithm, her pictures deserve so many more followers. Tied to her studies in Amsterdam at the moment, she still makes sure to get out and explore as much of what is on her doorstep as possible, finding beauty in all that surrounds her while she dreams of places like Africa. I can only imagine how incredible her Insta will look when she finally gets there. With an instagram full of vibrant, colourful images that match her personality, Ciara is a refreshing lift for my feed. She’s such a down-to-earth, regular 25-year-old gal who loves to travel, wear fabulous clothes and have adventures. I love following her journey as she is the same age I was when I did exactly the same, I love reliving those first travel experiences vicariously through her. Plus I really think we need more black female travel bloggers representing in the industry, too often blogging as a whole seems dominated by the same faces and it’s time to bring other faces to the forefront. Hailing from the States, Liz is considered the leading solo female travel blogger and dominates the blogging industry in New Zealand, and across the world. She caught my eye around the time I started blogging for her incredible photography of her home in Wanaka, New Zealand, which was actually what inspired me to want to travel there. She’s a self-proclaimed “nature frother” and I can totally understand why when she lives in one of the most beautiful places on earth. I love her frank, cynical but funny way of telling stories, her honest takes on the world of travel blogging and her down-to-earth writing style. Do you ever find someone on Insta and just know they would be in your squad? Over the last year, Claudia and I have become such good friends on social media but sadly have never met in real life, but I just know we would get on so well. Her instagram first caught my eye, because well, it’s just stunning. Her pictures from trips to Iceland and Marrakesh, and her home in Cornwall, are just breathtaking and she truly has mastered the Insta theme effortlessly. I find it shocking that she doesn’t have 10k+ followers, but it just shows how easily real talent can get missed in the algorithm, so go show her some support and give her a follow! Always one of my fave bloggers, Jess has been an endless inspiration, help and support since I started blogging despite me never even meeting her in real life. She is the loveliest lady and has been such an incredible blogger to watch grow over the last few years. While always very impressive, she has really taken her work to a whole new level since starting blogging full time and it really has been amazing to follow her luxury adventures across Canada, Thailand, Doha, Switzerland and Mauritius. I’ve especially loved following her and Vicky Flip Flop on the Princess Cruises trip across parts of Europe recently. 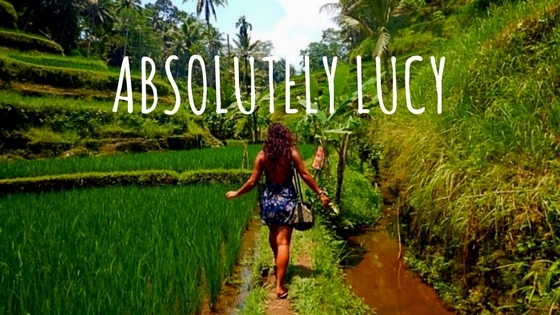 One of the very first blogs I started following and one that I still love now, Vicky is my kind of traveller, she loves a holiday, she loves festivals and she loves exploring. She never says no to an adventure and embraces all forms of travel whether it’s a solo backpacking trip or a group holiday. What I really enjoy about her travels is that she presents it all in a very real way, refreshing and all about having a good time instead of creating that ‘Insta-worthy’ shot. Emily is more of a style blogger, with the most fabulous boho taste, but she does so in the most beautiful surroundings at her home in Byron Bay, or from her travels across Australia, Bali and recently, India. Not only is she absolutely beautiful, but she also seems to have the most wonderful attitude to life and sees the beauty in everything. She really has an eye for capturing the magic in the simplest moments, while being frank and laughing about the more awkward, silly moments. I love following her and her fiancee’s travels in the van through Australia – it reminds me of how the boyfriend and I met. This babe embodies festival goals and when I can’t cover myself in glitter and get lost in a festival, I like to live vicariously through her festival adventures. She actually makes the most incredible festival headdresses and outfits which she sells online and often holds stalls at some of my fave festivals and now actually works with Boomtown Fair – amazing! But along the way she also went on the most incredible trip to India and has some of the most vibrant, colourful pics from Goa, Pushkar and even some festivals over there. Responsible travel blogger Sabina is probably one of the most approachable and friendly big bloggers ever, setting up a huge Facebook group for female travellers to come together and forge a huge travel community from all sides of the world. She focuses on sustainable travel and fashion, vegan food and natural beauty which is a lovely change from some of the more luxury bloggers. Most importantly, she is just the loveliest, most genuine personality and I really look forward to seeing her posts, especially from her most recent Africa trip which has been just amazing to follow. The loveliest lady and mama to the gorgeous little Evie, watching her journey from couples traveller to family traveller has been amazing. She has managed it with such grace and ease, and has embraced motherhood with a great eye for the most beautiful shots of herself and her little traveller. Total mama-daughter insta goals, Ayla captures the most precious of moments in what I can only imagine will one day be treasured photographs for her daughter. I’ve loved watching her first solo trip to Munich with Evie, despite making it look easy, she also made sure to share the struggles of travelling solo with a child as well as the good times. One half of the dream couple Instagram duo with El Jackson, this pair travel the world together collecting the most beautiful images with recent trips including the likes of New Zealand, Tanzania, Dubai, Israel and their home in Oslo, Norway. They’re a beautiful couple together and I love following their adventures, mainly because although they seem like they’re living such an unattainable dream, that actually I remind myself I’m living one very similar. Check out their pics for spectacular scenery, lots of nature and outdoor adventures. Another much smaller blogger and instagrammer who is capturing some amazing travels, Michelle has been in Guatemala since January and her travels look incredible. She’s gone from working full time to quitting, booking a flight and turning herself into a digital nomad. I love her style and the gorgeous colours of her Insta, most of all what I love, is she is unapologetically herself. She seems to have grown so much as a person on her travels and really just aims to live her best life, if we can’t find goals in that, what can we? London-based blogger, Reena, is one of the lovely bloggers I had the luck of meeting at an event earlier this year and I have to say, she is just the sweetest ever with the most amazing travel experiences. I loved hearing all about her travels in South America and if you check out some of her epic pics on Insta, you’ll understand why I’m totally going to be checking her blog for tips when I head to South America next year. Keep an eye on her as she’s headed to Goa later this year and I’m sure she’ll have more amazing content from that trip. Another blogger who has gone from solo and couples travel to embracing a life of family travel after the arrival of her two boys, Joseph and George. Monica doesn’t let family life slow down the travel lifestyle, instead finding ways to combine the two and still manage trips to the likes of Lapland, Rotterdam, Dubai and across the UK. She also loves encouraging young bloggers and aspiring writers and has previously taken on writers for her site and interns to share her valuable insight into the industry. So there you have it, just some of the amazing travelling women who are fitting their adventures around their careers, their relationships and even their children, plus a few of those who are living the solo traveller dream. I wanted to make sure I didn’t just focus on the talented souls who already had huge numbers of followers because I think it’s so important to champion talent at all levels – whether people have millions, thousands or just a few hundred followers. The number of people following them doesn’t make them any less inspiring, and it just means those who are following should do their best to share their favourites with the world. This is my way of sharing the love for some female travellers, writers, instagrammers who inspire me daily. Thanks for including me Lucy. And I think you’re great too! I’ve loved reading your adventures over the years. This is a great list and I’ve just followed them all on Insta. LucyRuthnum, thank you for your blog post.Really thank you! Awesome. You’re so welcome 🙂 really glad you enjoyed it! You are so welcome lovely 🙂 well deserved and you’re in very good company on this list! Pretty cool! I will follow them right away. By the way i started to travel alone this year for 4 months. you can follow my journey on my blog! Thanks Paula, that’s awesome! I’m so pleased for you, where are you travelling and how are you finding solo travel so far? Can’t wait to check out your blog! Thanks for the list. I’m always looking for more travel bloggers to follow. You’re so welcome 🙂 hope you enjoy their blogs!